This clear quartz brings you a renewed sense of balance and clarity. 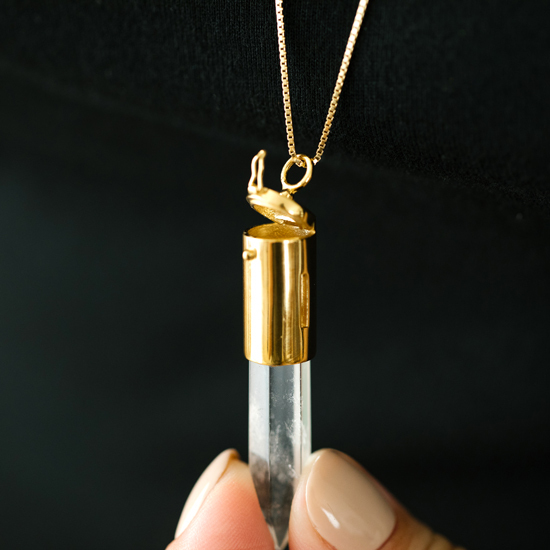 Add your favourite diffuser blend and keep wellness close to your heart with this 14k gold-plated aromatherapy gem necklace. Apply a few drops of your favourite diffuser blend or essential oil to sheet and place inside pendant. Cut sheets to size if necessary. Keep out of reach of children, except under adult supervision. Do not use for purposes other than intended. 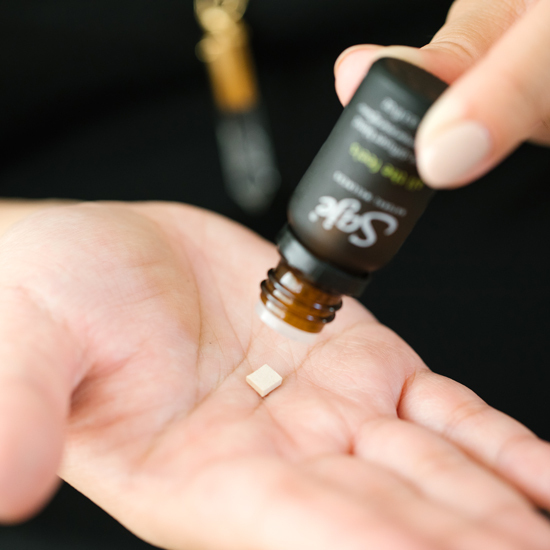 Keep wellness close to your heart by adding your favorite Saje blend. Add your favourite diffuser blend to the provided blotter pad. Open up the pendant by unhinging the clasp. Place pad inside the pendant. Close the pendant and clasp shut. 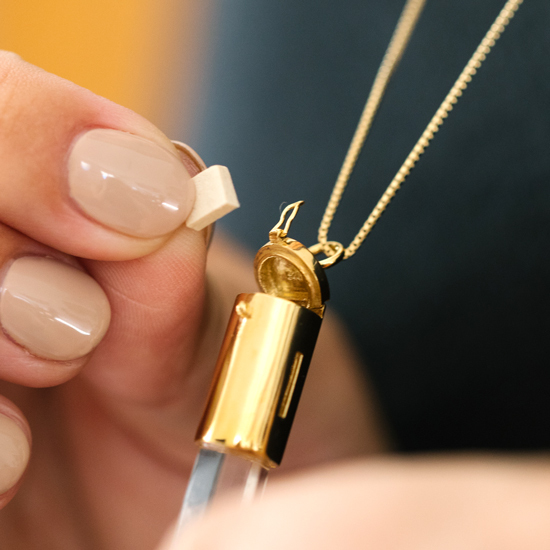 #SajeTip: Use your microsuede bag to polish the pendant and chain.